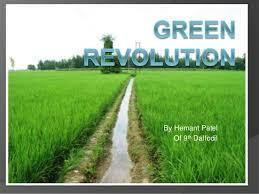 Green revolution is one of the most important part of our Indian farming culture in which agriculture in India change to an industrial system due to adoption of modern techniques by farmers for a lager scale production of crops in which they not only grow crops for their family but they also grow crops for their living . 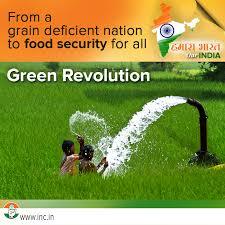 IN this green revolution high yielding crops (HYC) , tractors,irrigation facilities,pesticides,fertilizers and many more new things were introduced in the farming market to increase the field yielding . 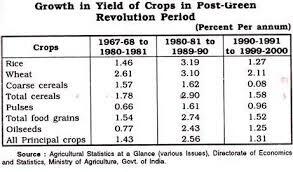 This started in the early 1960s and led to an increase in food grain production, especially in Punjab, Haryana, and Uttar Pradesh during the early phase.